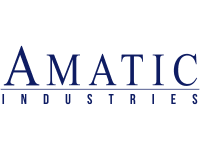 Amatic Industries was found by R. Bauer and over the years he has managed to build some very strong relationships and partnerships that has allowed the company to expand throughout Europe. They are best know for their land based casino products but they have moved into the online gambling market and have converted some of their most popular games so that they are available for online gaming. They have produced a range of cabinet games that include video slots such as Hot Fruits and Magic Gold. There are also video poker titles including Joker Card, Fruit Poker and Paradise Fruit. Other games include multi-bingo, blackjack, roulette and multi-games. They also created the very popular Roulette Grand Jeu 22 WS game which is multi-player electronic roulette game. 20 of Amatic's most popular slots games are now available to play online. These include Wild Shark, Casanova, Admiral Nelson, Frog Princess and Dragons Pearl. The games can be enjoyed on PC and mobile including iPhone, iPad, Android smartphone and tablet. This is great for those who enjoy gaming on the go. The online slots titles are five reel games that include free spins, wilds and scatters. They have also converted a limited number of their other games including roulette, blackjack, bingo and video poker so these can also be found online. The suite of games is pretty impressive considering Amatic has only just begun to venture into the online gaming development area. This company has an extensive land based casino presence but those looking to enjoy their titles online will only find them at Princess Casino. We don't know whether this software developer will continue to expand into the online gambling industry but so far we can say they have done a very nice job of converting their land based titles. They are also a very reliable developer so we hope to see them expanding. The vision that this company started with was to create responsible gaming for entertainment purposes. They have stuck by this motto for all of these years and they did this first by making sure that every venue that wishes to host their games cabinets has comprehensive information and understands all about gambling and player protection protocols. These protocols include advising players of some ground rules that they should set before they begin gambling. They also need to be aware of where they can go if they have a gambling problem and need help. This information is readily available on the Amatic Industries website also. All the staff in the company continuously undergo training so they can spot and help any player that they feel may have a potential gambling problem. Fair gaming is also guaranteed and the RNG for all of their games is audited and tested to ensure that all the games are fair and safe. The online gambling titles from Amatic Industries are only available at the Princess Casino and players can expect to find deposit bonuses and plenty of promotions. For those looking for free spins you will be happy to hear that the video slots titles all contain bonus features including free spins, multipliers and more so be sure to check these out. Deposit bonuses are available for all players and all new signups will receive a special first deposit offer that is a match percentage bonus when they fund their account for the first time. There are wagering requirements attached so be sure to check what these are before redeeming any offer. As Amatic has only just moved into the online casino arena it is had to know what bonuses and promotions they will offer. We do hope that they will continue and that a no deposit offer is made available for those who would like to test out their games risk free.